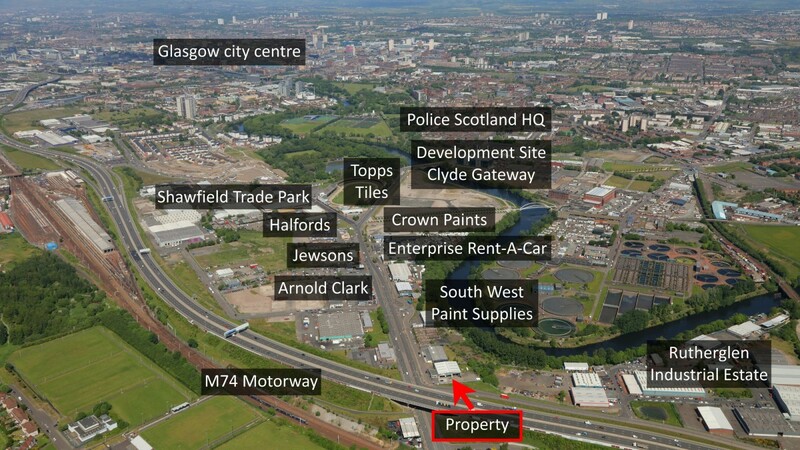 The property sits on the boundary of Glasgow City and the Burgh of Rutherglen approximately 5 km (3 miles) south east of Glasgow City Centre. The M74 extension runs past the property with the new Junction 2 allowing easy access to the motorway, both east and west, approximately 1.6 km (1 mile) to the north. The immediate vicinity has seen large scale commercial and residential redevelopment in recent years and is fast becoming increasingly popular with industrial and commercial occupiers due to its excellent motorway connections and public transport facilities. The location sits within Clyde Gateway which is Scotland’s biggest and most ambitious regeneration programme. 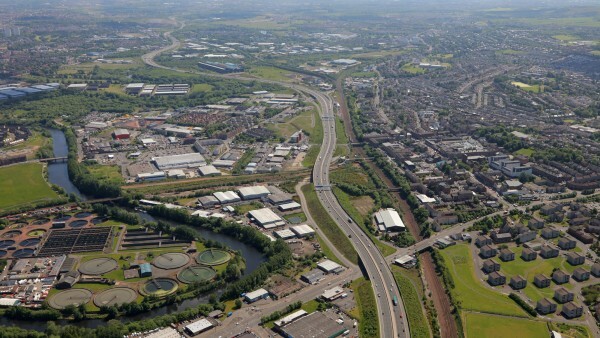 It is a partnership between Glasgow City Council, South Lanarkshire Council and Scottish Enterprise, backed by funding and direct support from the Scottish Government. 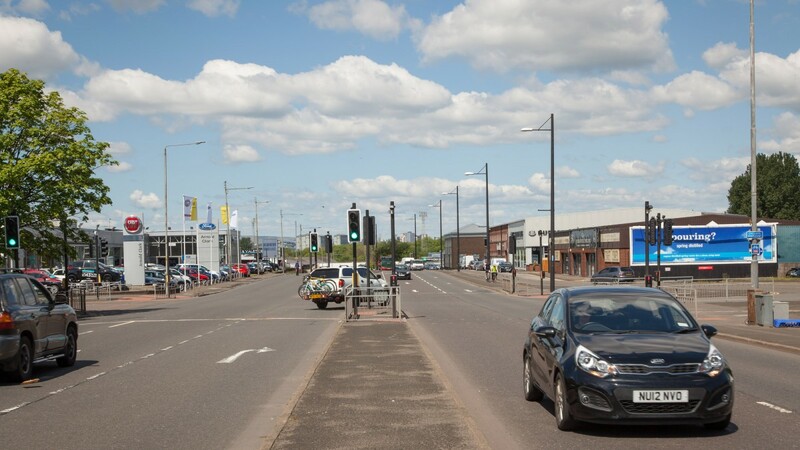 The subjects are situated on the east side of Glasgow Road (A730), which is a principal thoroughfare/arterial route leading from Glasgow City Centre to Rutherglen. 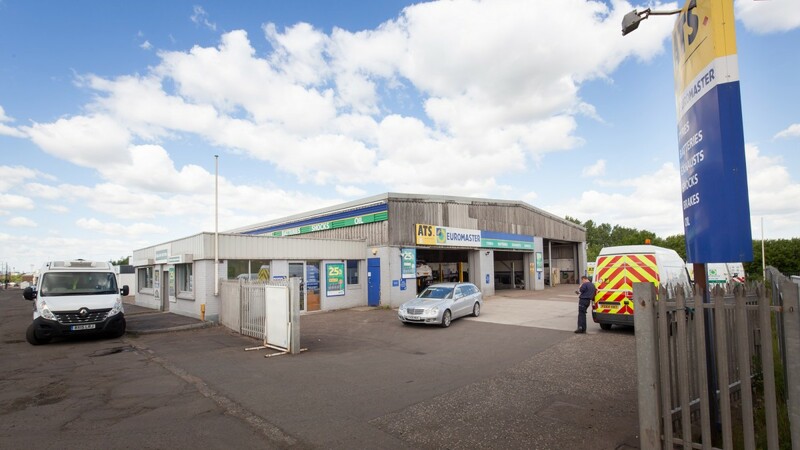 The unit occupies a prominent main road position on Glasgow Road and sits at the entrance to Rutherglen Industrial Estate. 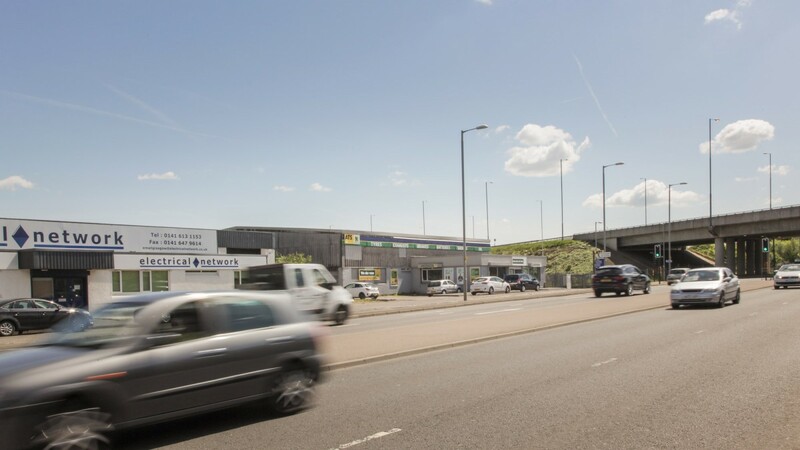 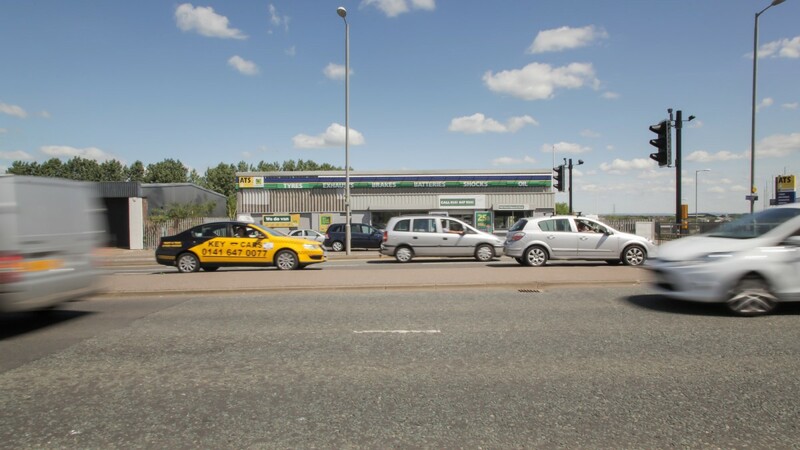 The surrounding area is a mixture of trade counter outlets and modern industrial units with nearby occupiers including Arnold Clark, Topps Tiles, Halfords, Booker Cash and Carry Jewson, Enterprise Rental Cars and Crown Paints. 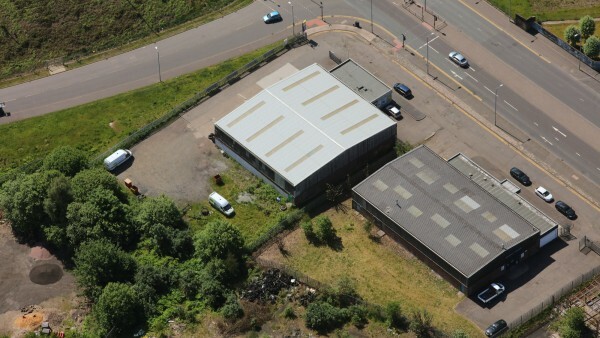 The unit is a steel portal frame warehouse with brick/block dado walls and corrugated sheet above. 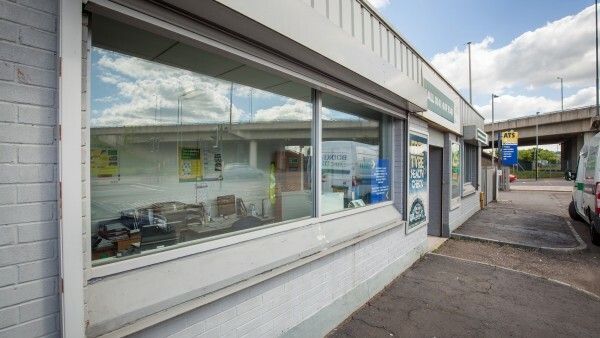 The original corrugated cement sheet roof has been overclad with profile aluminium sheets. There is a single storey office block to the front. 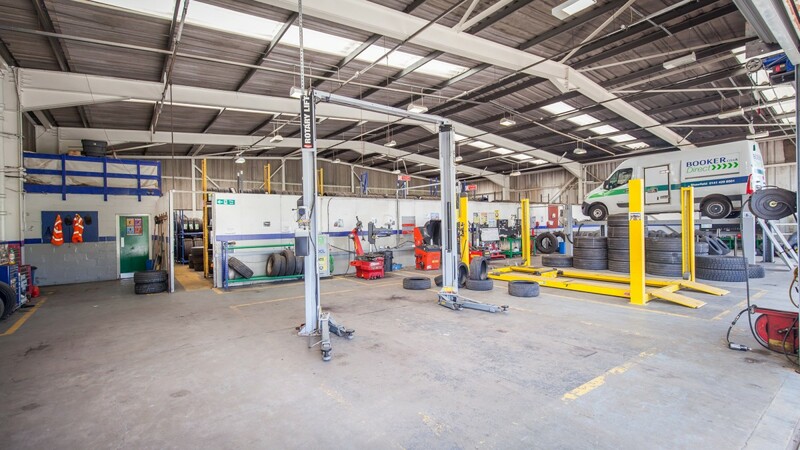 The premises sit within a secure regular yard with low site coverage. The warehouse has steel roller shutters to the gable allowing easy access for vehicles and internally the warehouse is sub-divided to provide workshop area with tyre storage area beyond. 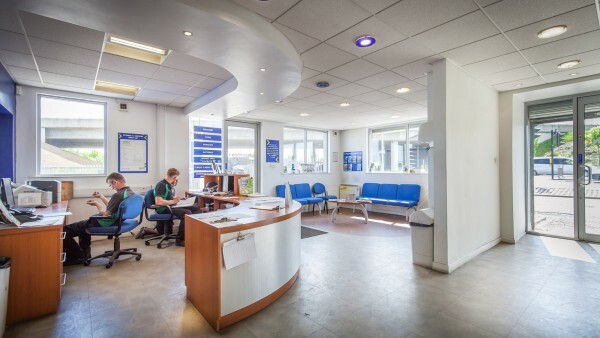 The offices have a large bright reception with private office, toilets and kitchen and are well-fitted. 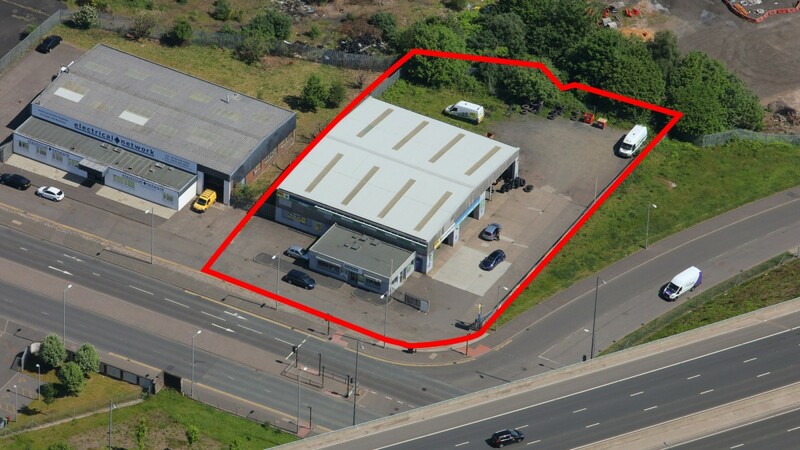 We estimate the site area to be approximately 0.31 hectares (0.75 acres). 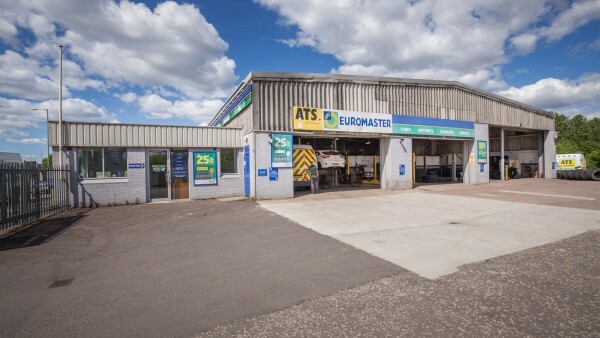 The unit is let to ATS Euromaster Ltd (Co No 4303731) on a Full Repairing and Insuring lease. 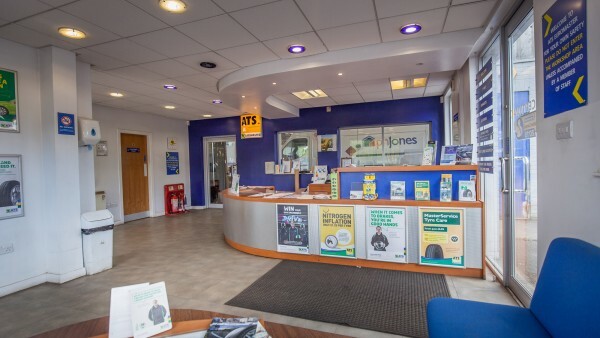 ATS are a long standing tenant of this property and have recently agreed a lease extension to continue trading from these premises for a further 10 years until 22nd November 2026 with no breaks and provision for an open market rent review in November 2021. 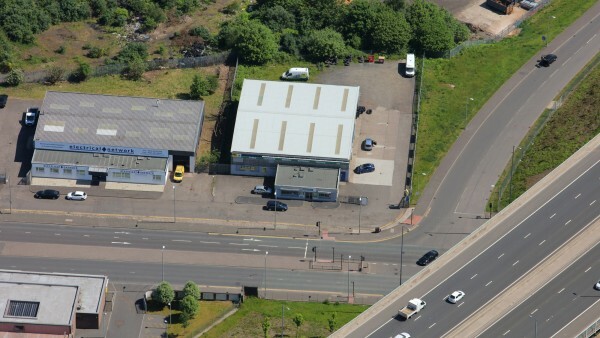 The passing rent is £48,275 per annum equivalent to £6.00 per sqft / £64.58 per sqm. 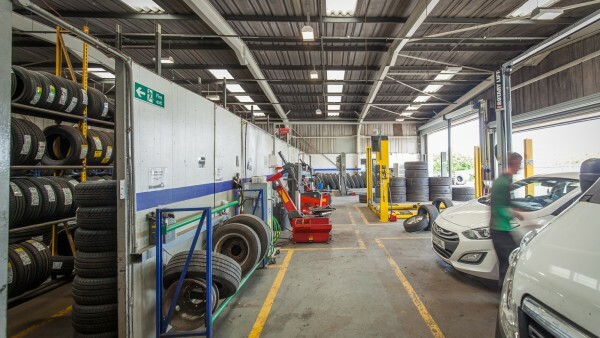 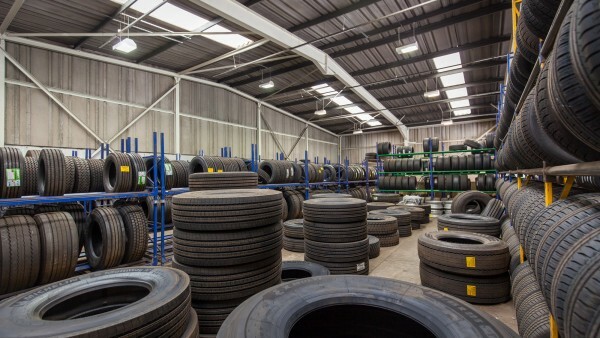 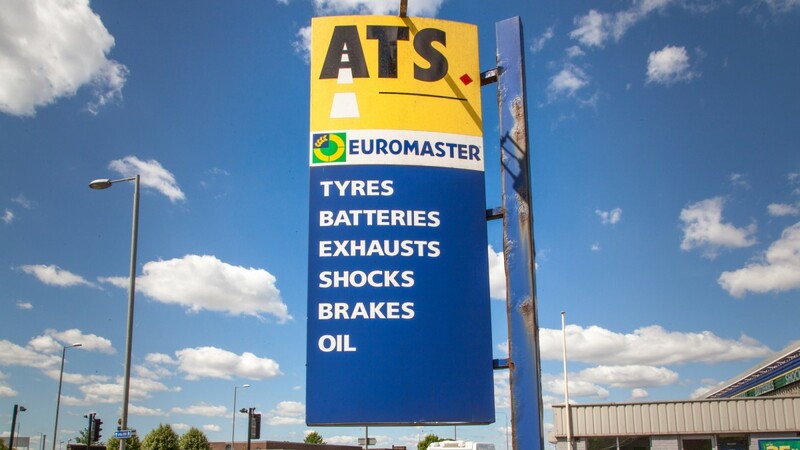 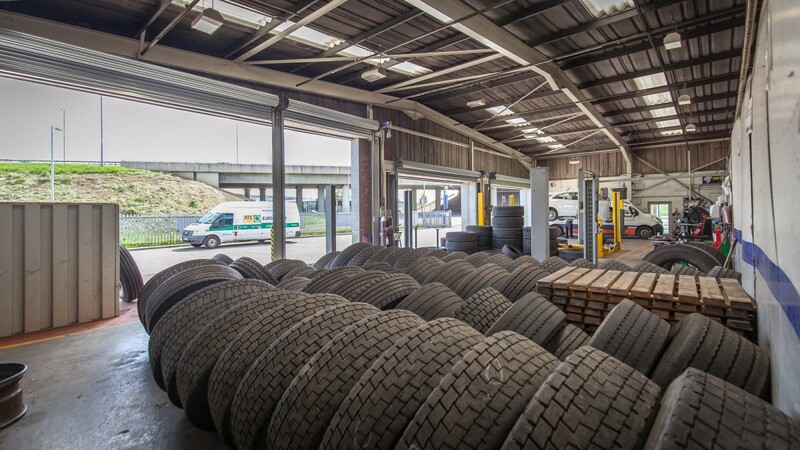 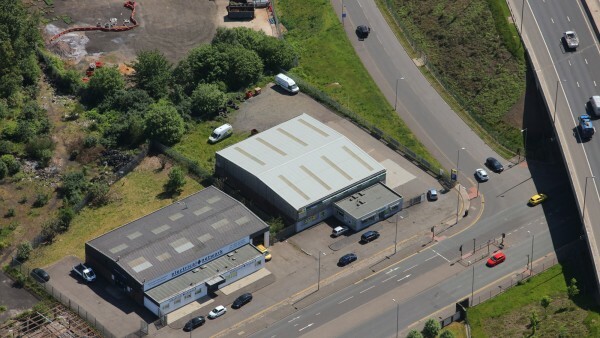 Established in 1965, ATS Euromaster Limited is a nationwide tyre retailer and comprehensive tyre service provider with almost 50 years of experience and a network of 345 Service Centres across the UK. ATS Euromaster Limted is part of the Euromaster Group which has 2,300 service centres and 2800 mobile units in 17 European countries and is a wholly owned subsidiary of the Michelin Group. 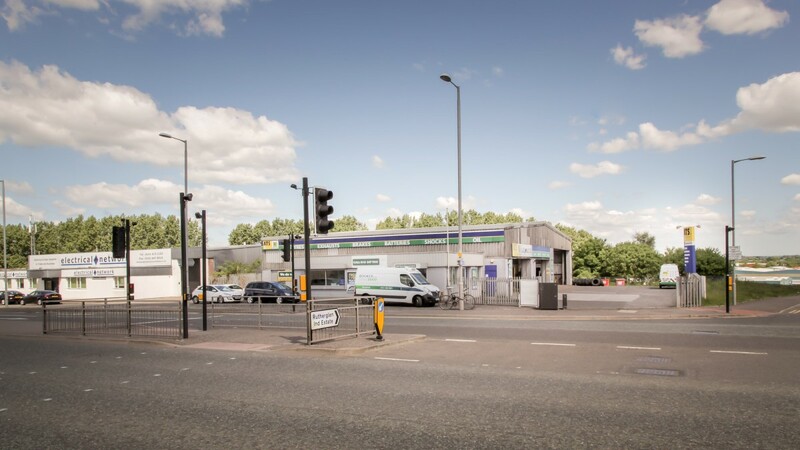 Our client is seeking offers in excess of £615,000 (Six hundred and fifteen thousand pounds), subject to contract, reflecting a net initial yield of 7.50%.